Money is not a bad thing but becoming desperate to the extent that you will do just anything because of cash is stupid. That is the mess many lazy people find themselves; they want to enjoy without work. Shocking photos have emerged of this beautiful young lady (pcitured above) who was recently rescued after her boyfriend who is desperate for wealth lock her spiritually in a deep pit for 8 months. This terrible incident was said to have happened in Tanzania. The lady spent 8 long months in a deep pit, and her people couldn’t find her. He was feeding only twice a week as part of his sacrifice. 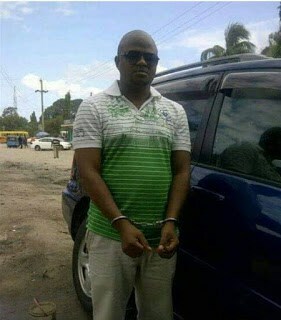 The desperately heartless boyfriend has been arrested. Only God knows how she’s still alive. People are heartless…men and women. God help us the good ones! 5 Famous Celebrities With Extremely And Seriously Hot Daughters!